When will be Married to Medicine Houston next episode air date? Is Married to Medicine Houston renewed or cancelled? 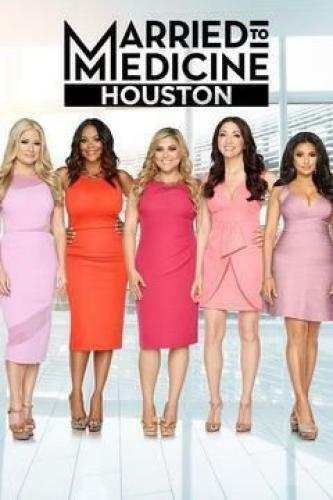 Where to countdown Married to Medicine Houston air dates? Is Married to Medicine Houston worth watching? Imad returns to town after receiving an ultimatum from Monica; Erika transforms a patient's life; Monica and Elly attempt to repair their relationship; Cindi Rose is left speechless when Ashandra skips her Kentucky Derby hat party. A double date with Erika and Derek leads to a revelation for Monica; a death in the family threatens to derail Elly's birthday celebration; Rachel's patience is tested yet again when she learns that Cindi Rose is making accusations about her. With the Wellness Center on the line, Ashandra pulls out all the stops for her Havana Nights fundraiser; Erika weighs her options when it comes to having children; Monica surprises Imad in San Antonio, hoping to find out if marriage is in her future. After coming up short with the fundraiser, Ashandra refocuses her goals for the Wellness Center; a Bollywood charity event hosted by Cindi Rose brings all of the women together; Monica fails to realize that Imad may be ready to commit to her. Married to Medicine Houston next episode air date provides TVMaze for you. EpisoDate.com is your TV show guide to Countdown Married to Medicine Houston Episode Air Dates and to stay in touch with Married to Medicine Houston next episode Air Date and your others favorite TV Shows. Add the shows you like to a "Watchlist" and let the site take it from there.